The Gemalto’s Breach Level Index reported 1.4 billion data records compromised worldwide in 2016, up 86% from 2015. Closer to home, there were 44 & 16 voluntarily reported breaches in Australia and New Zealand respectively. With the new Privacy Amendment (Notifiable Data Breaches) Act 2017 in Australia, these numbers are expected to increase dramatically as organisations are required to declare any “eligible data breaches”. 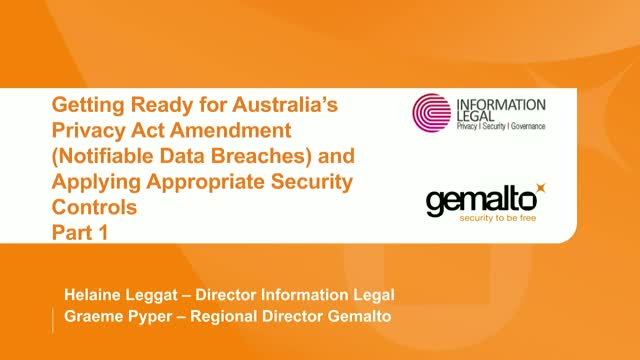 Navigating these regulations such as the Australian Privacy Act and European General Data Protection Regulation (GDPR) and the impact they will have can be daunting. Organisations must start planning ahead to mitigate the potential risks of being non-compliant. The implications of a data breach can go beyond compliance. In 2014, the Target breach had a massive impact on the company’s brand reputation, while last year’s announcement of the Yahoo! data breach cost the company nearly $1.7 billion in stock market value.